A one day, very practice oriented course using real radios, to learn how to use a marine radio, followed by the exam to obtain your RYA marine SRC / VHF radio license. During the course we will go through the fundamentals of the GMDSS system and learn about the Mayday and Panpan call and message. We will review the advantages of the DSC (Digital Selective Call) protocol and learn how to send DSC calls. Also part of the syllabus are the phonetic alphabet and the correct use of the various channels. Radio rules and regulations and how to make a call to another radio station are part of the program and we will practice extensively on real marine VHF/SRC radios. The course starts at 9.00 and ends approx 17.00, with a break for lunch (Note: lunch not included!) We have a maximum of 12 participants and a max ratio of 3 participants per radio equipment. 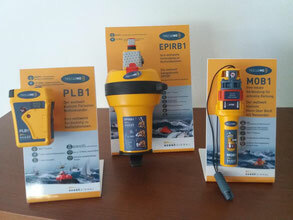 During the course we will go through the fundamentals of the GMDSS system and review the various options to stay safe when offshore (EPIRB, PLB, Personal AIS). We will learn and practice how to make a Mayday and Panpan call and message, explain the advantages of the DSC (Digital Selective Call) protocol and learn how to send DSC calls. Also part of the syllabus are the phonetic alphabet and the correct use of the various channels. Radio rules and regulations and how to make a call to another radio station are part of the program and we will practice extensively on real marine VHF/SRC radios. The practical exam is made up of two parts, a written and a practical test. The exam will last no more than one hour and has a very high pass rate. The practical exams take place regularly at the end of the SRC/VHF Classroom courses (start approx at 17.00h). Upon successful completion, you will be issued with the "RYA Certificate of Competence and Authority to Operate" radio license. Please note that there is a 60 GBP exam fee (approx 70 Euro), not included in the course price, which needs to be paid directly to the RYA before the exam. 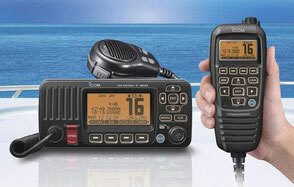 The 'RYA SRC / VHF radio license and authority to operate' will then be sent to you directly home. You can book directly online by selecting the date of the course you want to join and then clicking on the 'add to cart' button below. Or you are more than welcome to give us a call at +43 664 88360842 or send us an email at info@white-wake.com and we will send you a confirmation back. Once you book your course, we will send you the RYA VHF Handbook (or eBook) and you will be able to start with the necessary 3 hours of pre-study. Please select the course dates here below! !